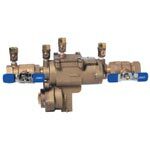 Lawn Sprinkler Backflow Preventer Part # Febco 765EBV 1"
Lawn Sprinkler Backflow Preventer Part # 765DBV 3/4"
Watts Lawn Sprinkler Backflow Part # 009QT 1"
Watts Lawn Sprinkler Backflow Part # 009QT 3/4"
Wilkins 11/2"-975xl2 LEAD FREE reduced pressure back flow preventer. Use on high hazard environment where water contamination may be imminent. size 11/2" install 6" above flood stage or 6" above highest sprinkler outlet. Wilkins 114-975xl2 Lead Free reduced pressure back flow preventer. Use on high hazard environment where water contamination may be imminent. size 11/4" install 6" above flood stage or 6" above highest sprinkler outlet. Wilkins 1-975xl2 LEAD FREE reduced pressure back flow preventer. Use on high hazard environment where water contamination may be imminent. size 1" install 6" above flood stage or 6" above highest sprinkler outlet. 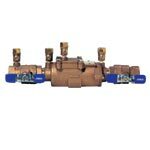 Wilkins 2-975xl2 LEAD FREE reduced pressure back flow preventer. Use on high hazard environment where water contamination may be imminent. size 2" install 6" above flood stage or 6" above highest sprinkler outlet. 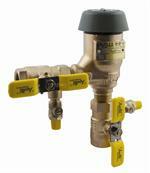 Wilkins 34-975xl2 Lead Free reduced pressure back flow preventer. Use on high hazard environment where water contamination may be imminent. 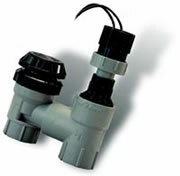 size 3/4" install 6" above flood stage or 6" above highest sprinkler outlet.